Each year we travel south so the big kids can see their dad. 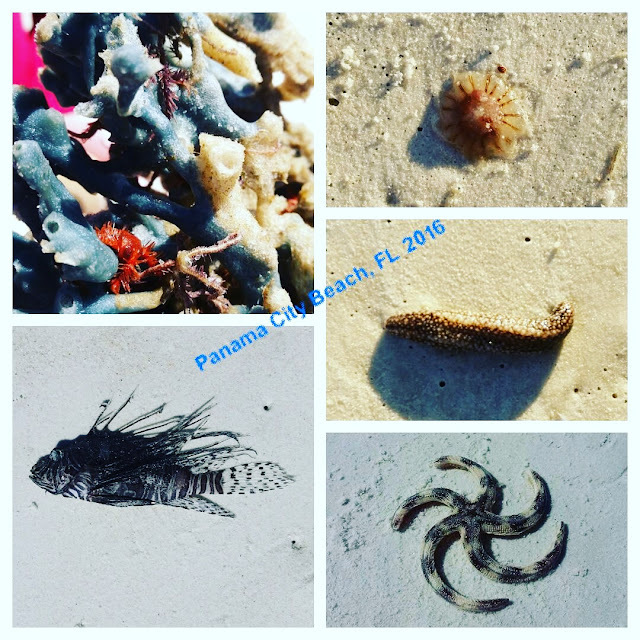 This time we went to Panama City Beach, Florida and stayed for awhile. We found tons of sea cucumbers. Theb one full dead star fish, that we get to bring home to preserve. We also found a neat looking fish, still trying to figure out what kind. Then we found some washed up coral that had lots of tiny star fish crawling all over it. There was also a man of war jellyfish.